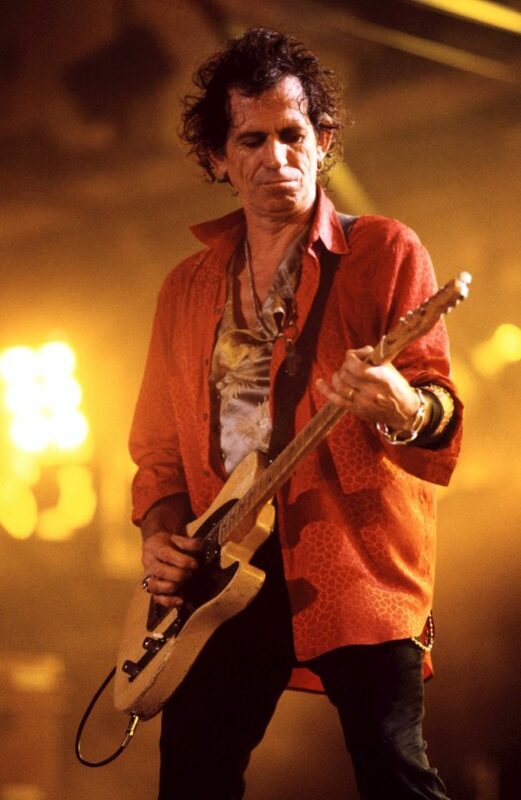 The Rolling Stones’ Voodoo Lounge tour took them to at Miami’s Joe Robbie Stadium on November 25, 1994 just one day after Thanksgiving. The lights go dark, the house music stops and you hear “Ladies and gentleman, Whoopi Goldberg!” Whoopi Goldberg? Ok, it was the 90’s. She introduced, as she called it ,”The world’s greatest rock and roll band…the Rolling Stones”. Was she right, heck yeah she was. Immediately the crowd experiences these massive, tribal percussion rhythms. Slowing they morph into something of a Bo Diddley-shuffle and out struts Mick, Keith and Ronnie who launch right into a cover of the Buddy Holly classic “Not Fade Away”. Mick commands the stage like a male peacock in full bloom while the duo of Ronnie and Keith interlace their Strat/Tele sounds. One cannot forget the ever steady but often under-stated Charlie Watts on drums. They quickly go right into “Tumbling Dice” which really sounds amazing on this recording. Lisa Fischer and Bernard Fowler’s “You got to roll me” along with Chuck Leavell keyboard work make this a true highlight of the show. It is at this point you start to sense the enormity of the stage. The production has enough lights to illuminate the nearest airport but enough height to be a threat to air traffic. The band goes into “You Got Me Rockin'” which sounds very at home in the set of ageless Stones classics. Mick then takes a moment to thank Woopi for introducing the band and also jokingly thanks her for lending Keith her jacket. It was the 90’s, fashions where what they were. Then we are treated to a gem from Exile on Mainstreat, “Rocks Off” which is capped off with a very Chuck Berry inspired solo from Keith. “Sparks Will Fly” from Voodoo Lounge features then some tasty playing from Ronnie. Cheryl Crow then makes an appearance to sing “Live With Me” from Let it Bleed. She looks a hair uncomfortable without guitar but proved that she had the pipes to be a singer in anyone’s band. The boys then do a pair of classics with “Satisfaction” and “Beast of Burden”. You ask yourself at about this point how Mick can continue to run and move at this pace and still have enough air left to sing. Yet he does. It is a shame the Fitbit wasn’t around in 1994. A subset of the band (Chuck, Darryl Jones, Charlie, Ronnie, Mick and Keith) then do a set acoustically on a smaller stage out in the audience. “Angie” and “Dead Flowers” are a nice shift in tempo along with “Sweet Virginia”. Then we take a trip in time to the 70’s for “Heartbreaker” which really feature Chuck and Darryl locking in on each others playing. The band then dusts off another cover with the Valentinos classic “Used to Love Her” which ultimately was the Stone’s first number one hit. A band steeped in the traditions of the blues it was awesome to see they then brought out two of the greats. Robert Cray joined them for a cover of Robert Johnson’s “Stop Breaking Down” and Bo Diddley for “Who Do You Love”. Another Voodoo Lounge track , “I Go Wild” fits nicely in. It’s funny to look back and realize just show strong that album was with songs you sort of forgot about. Then it is time for several just complete classics with “Miss You”, “Honky Tonk Women” and “Before They Make Me Run”. A mortal band could stop at about this point. They’d done a traditional 90 minutes and closed with three mega-hits. Not these guys. Keith puts down the Fender Tele and picks up an Ovation acoustic while Ronnie hits the pedal steel for “The Worst” which is an absolutely brilliant song. Then up comes Mick through the stage floor in this awesome, voodoo-inspired suit and top hat for “Sympathy for the Devil”, “Monkey Man” and “Street Fighting Man”. Surely these guys are tired. Heck no, they fly into “Start Me Up”, “It’s Only Rock and Roll” and “Brown Sugar”. Get the EMT’s, they have to be done. Well why not throw in “Jumping Jack Flash” just to put the cherry on top! Whoopi joins the band on vocals and cap off an amazing performance. 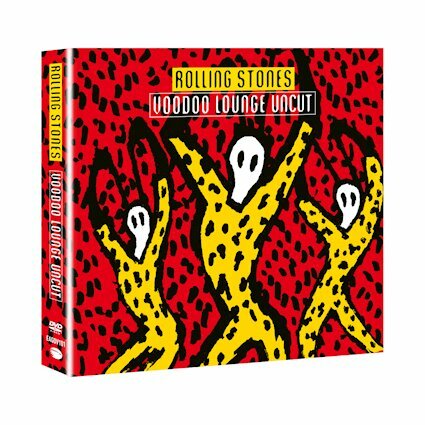 Voodoo Lounge has been available on DVD but at close to $100 street price this reissue from Eagle Rock is a no-brainer. Throw in 10 extra songs not on the original and you’d be nuts to pass this up.